SHow you LARP sword a little love. 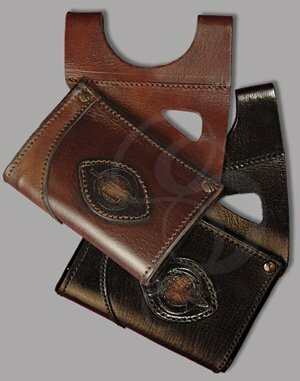 Buy it a beautifully designed leather hanger to sleep in. 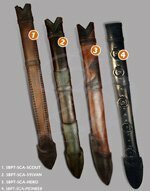 These sword holders are specifially designed to hold LARP swords (and they do a brilliant job at it). It's really not that complicated. The pointy end goes into the holder and the hilt hangs on the top. These frogs are built with a perfect angle to them so the sword hangs naturally and is emminently easy to draw. The belt loops at the top of the hangers fit most belts. These hangers are available in brown and black and left or right draw.